Dairy is a great source of calcium which helps build strong bones. Spread the word in "Have you herd... 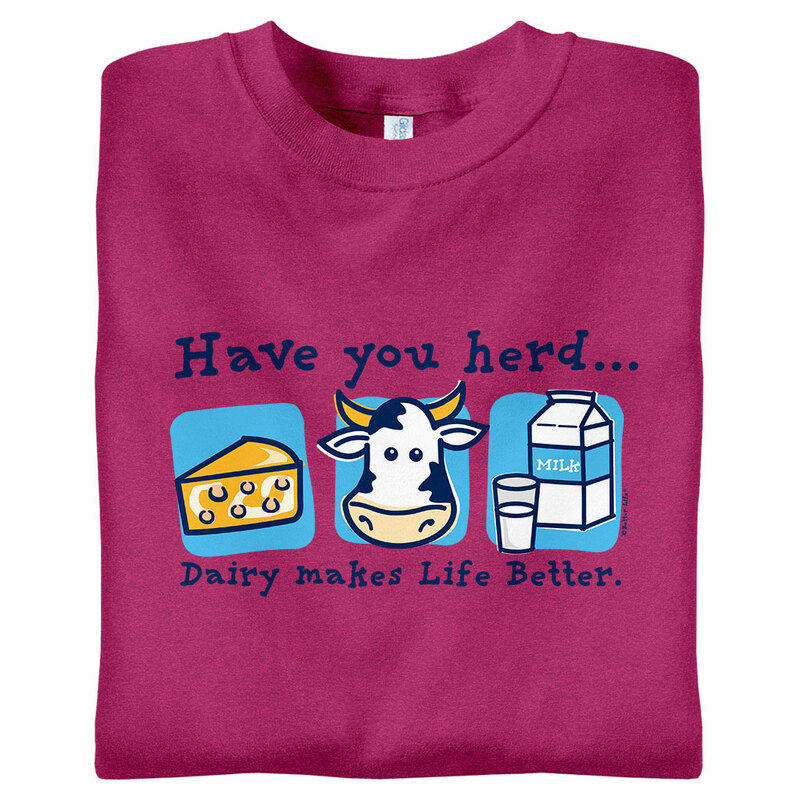 Dairy makes Life Better" t-shirts with a cow, cheese, and milk.